We run small group surf lessons on a regular schedule in addition to scheduling private surf lessons, special events, and group outings by request. Our current availability is shown below and sign up for lessons is exclusively online. Also check out our special Surf +Yoga session. This calendar is updated in real time to reflect our current availability for surf lessons. Don't see a date here that works for your schedule? We can also schedule lessons Tuesday - Friday mornings by appointment. Email or call us at (207) 370-6706 to book! 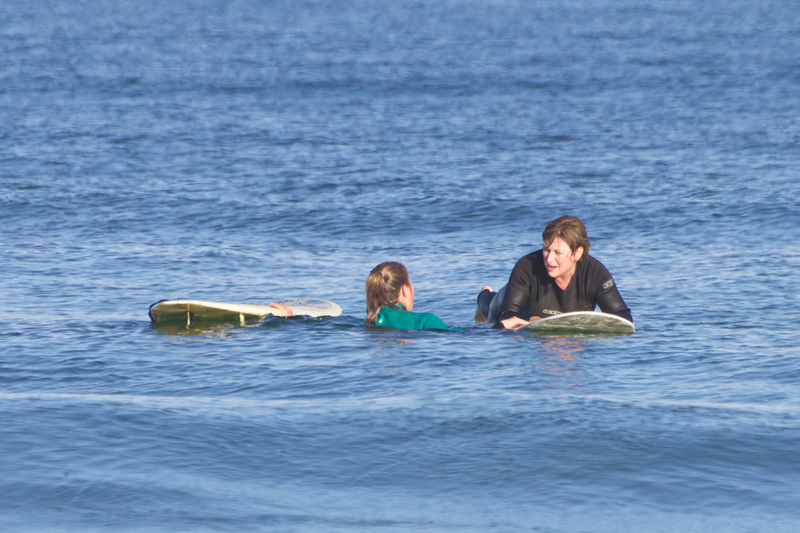 What Sets Our Surf Lessons Apart? Lots of surf shops offer surf lessons, but Surf Camp is the only dedicated surf school in the region: all we do is teach people to surf! On average, our instructors have been teaching at surf camp for 6 years or more, which translates to the ability to teach practically anyone how to surf and make sure everyone has a great time. Over 3 hours, our surf lessons take you through the fundamentals of surfing, ocean safety, and surf etiquette. Every student gets 1-on-1 attention, even in group lessons. You won't get a better surf lesson anywhere else. Surf Camp has exclusive access to Scarborough Beach for the purpose of surf instruction: we're the only organization that can get you out for a surf lesson on this amazing stretch of sand. With over 40 surfboards and close to 100 wetsuits, we have the right equipment to get anyone out in the surf. Our gear is maintained to high standards to make sure your experience is second to none. Lessons are run waves and weather permitting and may be canceled under certain conditions (e.g., waves too big or very poor weather), but otherwise we will go even in the rain! Cost: $100/pp for 1-2 people, $85/person for 3 or more. Discounts available for larger groups (6+). Maximum Group Size: We can accommodate groups of up to 30 people for private surf outings.